5G will be the new wireless standard, offering data speeds up to 100x faster than 4G/LTE (the current standard). It is coming in 2019. There is a race to be the one who sets the standard because whoever does will be the dominant economic provider for a decade or more. 5G will enable the “Internet of Things,” wherein nearly everything will be connected to the Internet. It will offer wonderful advancements for science, technology, and individuals. It will also bring new vulnerabilities and security/privacy risks. China has been pushing their version of 5G through their digital “Belt and Road” strategy and aggressive pricing/promotion of their companies Huawei and ZTE. The Trump Administration is pushing back on Huawei/ZTE and Chinese pressures. The upcoming Mobile World Congress in Barcelona (26 February to 1 March) is battleground zero for the conflict. The dominant standard is more than a battle between “VHS” and “Beta” (for those who recall the videotape wars between Sony and Panasonic. It will determine economic dominance. While the American market is the most important, America cannot stand alone against the rest of the world. There will be enormous investment opportunities and implications around 5G. If properly implemented, a 5G open access wireless approach could lower cell phone data bills by 80% or more and add as much as 0.75% to our annual Gross Domestic Product growth. If you want to drill down to really understand 5G, you should watch the whole show. Get a one-month FREE TRIAL HERE. And, you should get the Economic War Room Economic Battle Plan. 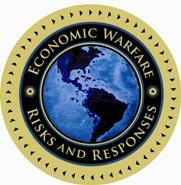 (TM) Just sign up for FREE access at: ECONOMICWARROOM.com/BattlePlans.